Parallax Effect is a native extension to create parallax effect in any application. It allows the developer to add and move as many layers as desired. The developer just adds the layers and the extension takes care of moving and stacking them together. The extension provides some events that can be listened to know the offset X and Y of a layer, for instance. It’s possible to use the offset information to create custom animation, or to optimize the moving process using any tweening engine. The extension has a set of features, such as add layers (any DisplayObject), Starling integration, the ability to control the direction and movement multiplier of each layer, uses the device’s rotation sensor to move layers and doesn’t require special permissions. // The first step to start the Parallax effect is to introduce the the layers which you'd like to animate. // $layers:    is an array containing information about each layer object. // NOTE:     The must have data about each layer are: "name", "fx" and "fy". // NOTE:     Value of "fx" and "fy" should be between -1 and 1. if this multiplier is 1 or -1, the movement value will be set according to the maxXMovement and maxYMovement. if their value is near to 0, the movement value will be less. //             if the multiplier value is negative, it's movement will be oposite. // NOTE: this method must be called prior to the "start" method. //             to move your layers around, you should add this value to your original X and Y position of your layer. // NOTE: on landscape mode, use "offx" for the "Y" of your layer and "offy" for the "X" of your layer. // NOTE: considering that the Parallax extension will move your layers to left and right, it's important to place your layers initially in a good position. // Use this listener to receive the layers offset information. // As soon as you call this method, the ParallaxEvent.NEW_MOVEMENTS listener will receive the offset data. // Call this method and the offset information will not be returned by the extension anymore. //some rare devices may not support the orientation sensor. call this property to check if it is available. // NOTE: on every time the ParallaxEvent.NEW_MOVEMENTS listener is called, information about each layer will be returned. // every layer is in an object. Please note that you had previously named your layers. here you can use those names to identify the layers. // to animate the layers better, you may use any Tween engine. we use TweenMax, but you can use any other engine of your choice. AutoCall is a native extension to initiate a phone call then return to the app upon call completion. This extension overcomes the most common problems with similar libs, e.g some Android devices won’t allow the application to actually make a call, they just copy the number to the phone app or the clipboard, and iPhones won’t return to the application upon call completion. The extension comes with a package including a demo APK, the demo FLA with commented code, sample application descriptor, the ANE itself and a README file. iAd ANE is a native extension to show iAd ads on iOS. It supports all native functions, allowing developers to fine-tune how advertisements are displayed. Even though the extension includes all size types and interstitials, the Apple ad network restricts the ad type by device. Banners can be used in iPhone/iPads, while interstitials can be used on iPad only. In order to check if a banner type can be displayed, the extension has a method to check if interstitials are supported. It allows developers to selectively show ads based on the device running the application. This extension can be centralized and managed by the Ad Network ANE. // Check ane support. Apple does not provide Interstitial ad on iphone. ascsh is a wrapper for the new ActionScript Compiler 2.0. It was modeled to be roughly equivalent to the older Flex Compiler’s fcsh and fcshd. It improve AS3/AIR/SWF/SWC project compilation performance by maintaining a persistent JVM compiler process. The tool is followed by a daemon named ascshd, which is a convenience wrapper around ascsh itself. It starts a background server thread to maintain the ascsh process, and sends commands to it for builds. This way, the build can simply call ascshd again and again from the build system (no fussy shell) and it just gets faster over time. I decided to kick off 2014 with a project that I’ve been willing to develop for a while. I had this idea in 2013 while struggling to overcome some pretty common gamedev tasks. My idea is to create an IDE focused on gamedev. Meet Codebot! Why, man, WHY?! There are so many IDEs already! I know that, but none of them is able to solve most (or all) of my gamedev problems. Developing a game is much more than just coding, you have to tweak art, build levels, convert files, find assets/extensions, read docs about building and publishing, and so on. If you are just like me, anything but code is damn boring. I don’t like spending time to find out what are the dimensions and formats of thumbnails/icons for Google Play, or what witchcrafts I have to put a PNG file through so it can be accepted by Apple. I don’t like to crawl the internet after SFXs, then discover I need to convert it from WAV to MP3 so it can be used. I don’t like to manually slice assets to extract tiles. My IDE should help me do that, or do it all by itself! Imagine you are working on your Ludum Dare game and you need an 8-bit SFX. You click a button, a panel slides, you type in a few keywords, select what you want and done! Want to create icons to publish your game on Google Play? Slide a panel, add a single 1024×768 PNG image and hit publish. Done, all icons are ready! That’s the sort of thing I’m trying to achieve. I want an IDE that helps me develop a game, something that minimizes the time I spend working around “non-gamedev” problems. I want to focus on making games. I might fail or maybe nobody will use my IDE (including myself, in the worst case scenario :D). That doesn’t bother me at all. I decided to give this project a try because a) it seems damn fun to code and b) it might end up helping others. I coded a lot of things until today, but never a gamedev IDE. I don’t want to create more of the same, I want to create something new. I have my favorite IDEs now, which include FlashDevelop and Brackets, but they have their own problems: FlashDevelop doesn’t work on Mac, Brackets can’t be used to code As3, and more. Don’t get me wrong, I love them, but I want to try to improve my gamedev experience. So what features are you planning? Easily find and add extensions/libs to a project (slide a panel, search, click integrate, done!). That’s what I have planned so far. That’s a lot, how will you develop all that? 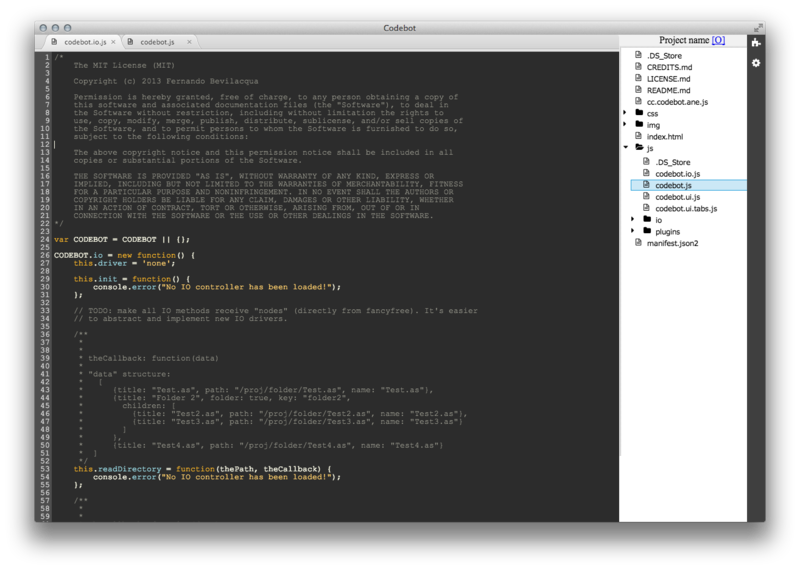 My current plan is to implement the code editing parts first, which includes open/saving files, etc. 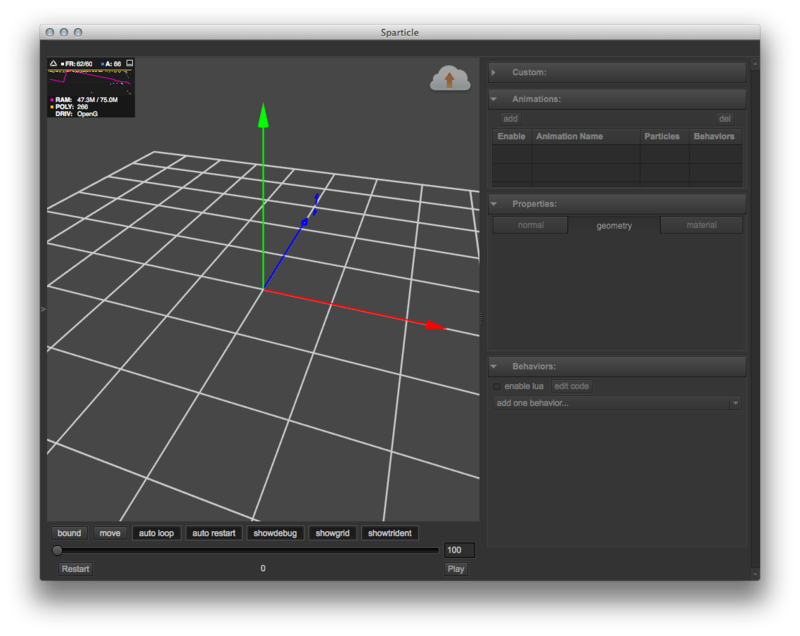 After that I want to start adding building options, starting with Flash/AIR then HTML5. When everything is usable, I will jump into the sliding panels. 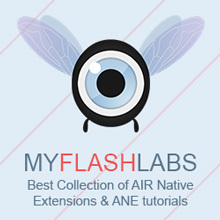 Probably the first panel will be something to add AIR native extensions to Flash projects. If you are interested on Codebot, follow its development on this blog and on Github. More technical stuff will come as I progress. nexuslib is a library that provides robust reflection support, random number generation, cryptography, networking, and more. The reflection and serialization packages have among their features deterministic JSON de/serialization, deserializing directly to typed AS objects, a structured reflection class heirarchy, and more. It also has full support for Application Domains and namespaces. The crypto and security package offer an HMAC class and some utilities, useful to protect content. The nexuslib also has packages to work with version control systems, such as git. Air-Mobile-ScrollController is a library to control the scrolling process of an application. The library handles all the scrolling manipulation of the content, producing a smooth result that reassembles the native scroll movement. It has an API for mobile and web applications. The library works based on two rectangles, one representing the content and the other one acting as a container. It’s possible to individually control horizontal and vertical scrolling, as well as read the current position in the scrolling area. There are several methods to smoothly scroll to a specific position, e.g. the origin. An animation is used to transition between any scrolling positions.